A monster great white shark terrorises the New England resort of Amity Island, striking fear into the hearts of residents and holidaymakers. While the mayor and his team try to downplay the threat, local police chief Martin Brody, marine expert Matt Hooper and salty seadog Quint go in search of the beast. What are the best dining options near Jaws, Open Air Theatre, Regent's Park London? Jaws, Open Air Theatre, Regent's Park gyms, sporting activities, health & beauty and fitness. 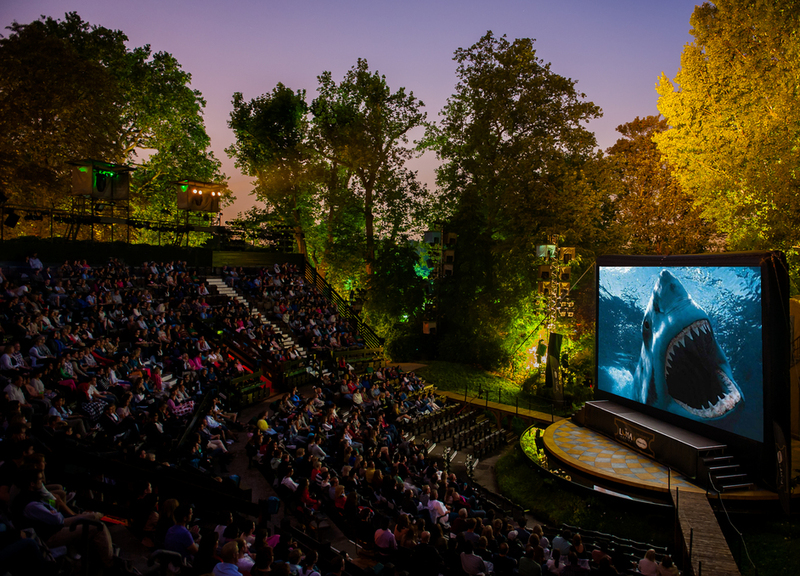 The best pubs near London Jaws, Open Air Theatre, Regent's Park. Jaws, Open Air Theatre, Regent's Park clubs, bars, cabaret nights, casinos and interesting nightlife. Where to have your meeting, conference, exhibition, private dining or training course near Jaws, Open Air Theatre, Regent's Park. From cheap budget hotels to luxury 5 star suites see our deals for Open Air Theatre, Regent's Park hotels, including Grange Fitzrovia Hotel London from 82% off.